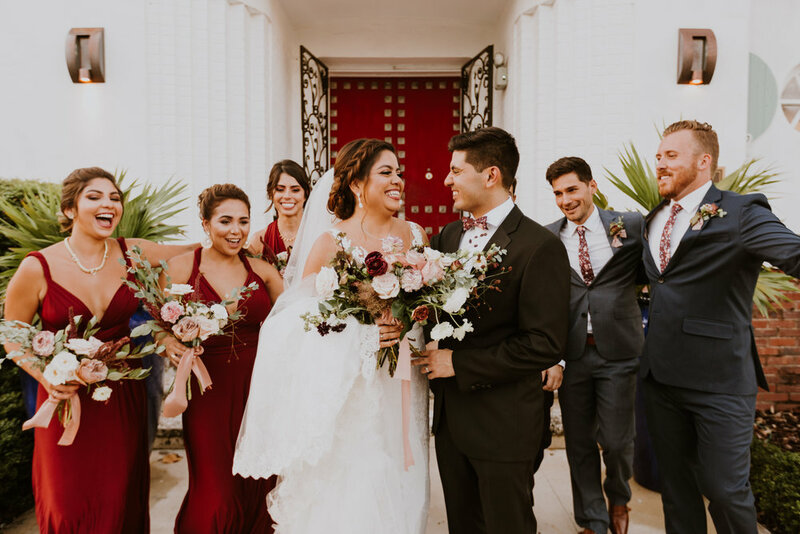 Framed by its beautifully, massive doors, Karen + Vin were married in an intimate, whimsical ceremony surrounded by their nearest and dearest at the historic Miami Beach Women’s Club. One of the first things I learned about these two was their passion for travel and how their love story was marked by so many destinations. It was only fitting, they tied bits of their wedding day to their love for adventure - in lieu of table numbers, special vacation locations; custom luggage tag favors; and sweet monogrammed globes acted as the couple’s guest book. 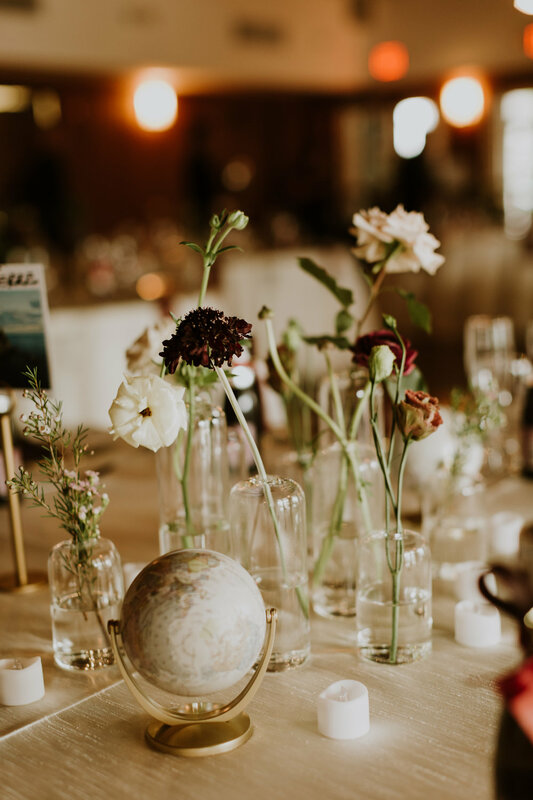 Inspired by the venue’s burgundy and gold accents, we designed their moody, mauve-y palette to create dreamy, yet cozy vibes. 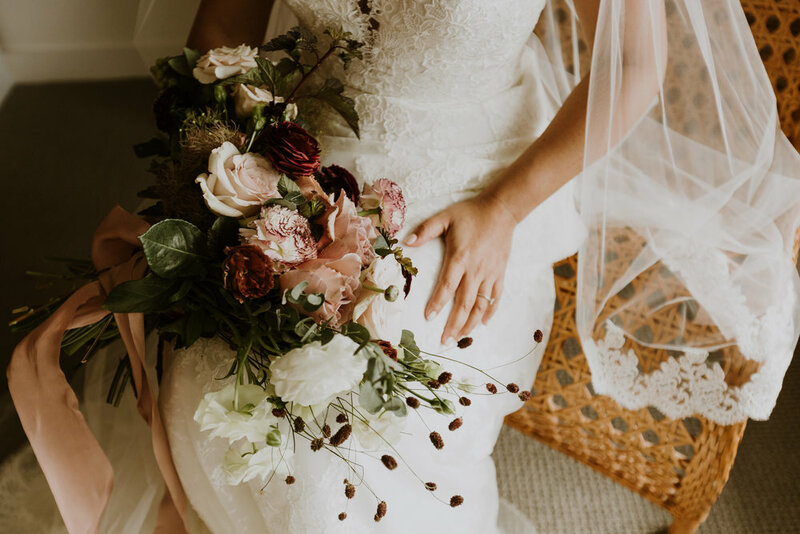 Combining some of RC’s favorite flower varieties - cappuccino and cafe latte roses, butterfly ranunculus, floating antique carnations, and foraged jasmine vine - made us fall especially hard for this day. And if that wasn’t enough, the small details like gradually ripening blueberries and beautiful rose Silk + Willow ribbons were the perfect little cherries on top. Karen + Vin are two of the warmest, most kind and thoughtful souls we’ve had the honor to flower for. Their love for each other radiated throughout their day and can undoubtedly be felt in the moments that follow.